FB701 MY Domani 45m The full custom yacht in steel and aluminium, 45 meters long, is articulated on 3 decks, with 4 guest cabins on the lower deck, one VIP cabin on the upper deck and a full beam owner suite on the main deck, with a private terrace overlooking the sea. The main salon features full-height windows that grant a 180 panoramic view. As for the external spaces, the sun deck was divided in 3 areas: a lounge/sunbathing space, an external dining area protected by a wind screen and a swimming pool/bar area. The owner played an important role in defining both the layout and the equipment. 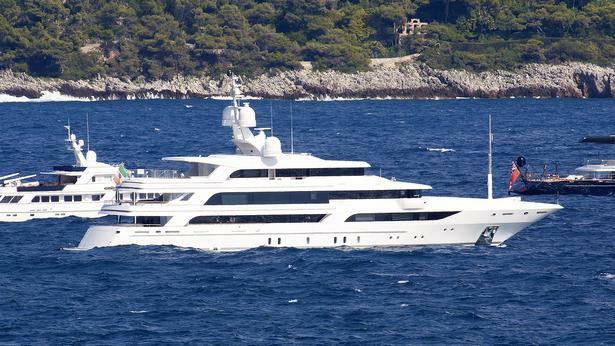 FB264 superyacht – whose exterior styling and naval architecture were designed entirely by Benetti – has four decks, with 63.5 meters of length overall, a beam of 10.8 meters and a displacement of 1.081 GT. The interior layout – designed by FM Architettura d’Interni – features 4 guest cabins on the lower deck, 2 VIP cabins on the main deck and an 80 sqm owner suite on the upper deck. The external salon, always on the upper deck, can be used for guests’ entertainment, formal dining area, or be reserved exclusively by the Owner. The sun deck is dedicated to sport and wellness, with a 4-meter swimming pool, a gym and a beauty area. FB264 is a full custom yacht, enriched by luxury fabrics and materials, with the addition of unique pieces of Italian craftsmanship. 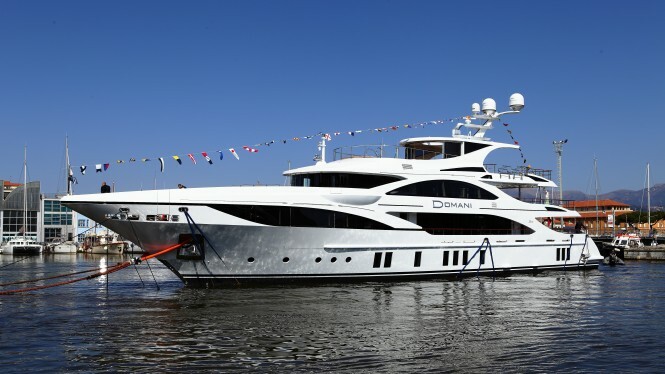 Benetti FB264 is equipped with 2 MTU – 12V 4000 M53 1380 kW @ 1800 rpm for a top speed of 15.5 knots and a range of 4.750 n.m. @ 12 knots.